The U.S. Food and Drug Administration cleared the first magnetic resonance imaging (MRI) device specifically for neonatal brain and head imaging in neonatal intensive care units (NICU). 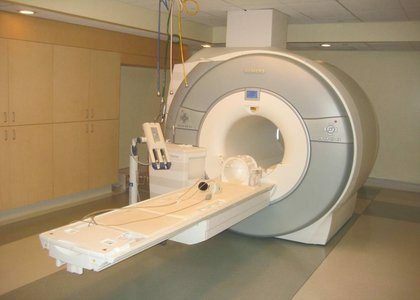 An MRI is a medical imaging procedure that records images of the internal structures of the body. MRI scanners use strong magnetic fields and radio waves (radiofrequency energy) to generate the images. The signal comes mainly from the protons in fat and water molecules in the body. When interpreted by a trained physician, images from an MRI provide information that may be useful in determining a diagnosis. The Embrace Neonatal MRI System is designed specifically for imaging of the neonatal head. The Embrace Neonatal MRI System may be used on neonates with a head circumference up to 38 centimeters and weight between 1 and 4.5 kilograms. The system has a temperature-controlled incubator placed directly into the MRI system, minimizing movement of the baby. If urgent access to the baby is necessary during the imaging process, the baby can typically be removed from the system in less than 30 seconds. To avoid putting vulnerable patients at risk, the efficacy of the Embrace Neonatal MRI System was demonstrated primarily based on non-clinical testing including images of phantoms simulating an infant brain that were determined to be of sufficient quality for diagnostic use by an independent board-certified radiologist. The safety of the Embrace Neonatal MRI System was demonstrated through performance testing, including a review of electrical and mechanical safety measures. The Embrace Neonatal MRI System is contraindicated for patients weighing more than 4.5 kilograms or with a head circumference of more than 38 centimeters. It is also contraindicated for all infants with metallic or electronically active implants since the MRI may cause tissue near the implant to heat or the implant to malfunction. The Embrace Neonatal MRI System was reviewed through the premarket clearance (510(k)) pathway. A 510(k) is a premarket submission made to the FDA to demonstrate that the new device is substantially equivalent to a legally marketed predicate device. The FDA granted clearance of Embrace Neonatal MRI System to Aspect Imaging Ltd.